Bondy's Ford Lincoln in Dothan Can Find Your Used Car for Sale Today! Do you have your sights locked in on a specific automobile, but you are not exactly sure how to get your hands on one? 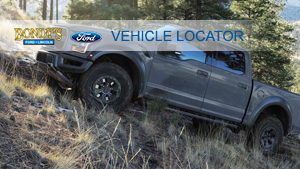 Then it is time to turn the chat to Bondy's Ford Lincoln's exceptional used automobile locator service. The most rewarding element of all this? By giving us the reins to your used automobile search, you will not just get the car you desire, but you will also have the pleasure of skipping over the road blocks that come with working with other, less professional dealerships in the Dothan area. Considering how crucial this process is to making sure your daily drive is always a piece of cake, why would you ever settle for anything less than the top-tier dedication to outstanding support and service for pre-owned automobile buyers at Bondy's Ford Lincoln? 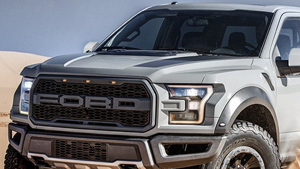 Now that we have gone over all of that, go ahead and join the professionals here at Bondy's Ford Lincoln as we go over the particular pieces of the puzzle that make up this service. After doing this, we have no doubts you will be the holder of all the insight you must possess to make a smart and savvy choice when it comes to your automotive future. Making good progress with this conversation requires handing over a more detailed look at how we sift through each of the possibilities laid before you and discover the ideal used vehicle for you. Before everything else, Bondy's Ford Lincoln needs a few pieces of information from you to learn about the automobile that accommodates your concerns. As fate would have it, our convenient and simple form found at the bottom of this page is ready to funnel this insight straight into the possession of our used car experts. As soon as this important information is in our possession, we will begin the process of working through our automotive industry resources to bring you the exact used car that matches your desires. Considering how simple and easy this whole process is, why would you ever need to spend hours flicking through classified listings in the daily newspaper or fighting with deceptive pop-ups and other excessive ads on third-party pre-owned vehicle pages any longer? Digging even deeper, the Bondy's Ford Lincoln team will do what is necessary and beyond for our fellow community members located here in Dothan via whatever means necessary. To illustrate just how serious we are about this notion, you can rest easy knowing the Bondy's Ford Lincoln pre-owned car locator program is always available at no cost to you. Despite the fact that other dealers might aim to charge you an exorbitant amount as part of helping you in the pursuit of the best pre-owned vehicle, the Bondy's Ford Lincoln team believes helping out on this front is just a piece of what makes a winning dealer experience. Feel Free to Commit to a Little Research in Advance — Even though window shopping is definitely a thrilling aspect of the hunt for your next used car, try not to be wooed by only the exterior charm of any automobile that strikes your fancy. A little research into the car in question's sustainability, interior creature comforts, and other criterion that can influence your day-to-day habits will give you the knowledge required to figure out if this automobile is truly your best option. Take Some Time to Talk with Family and Friends — Leaning on the knowledge of others unquestionably goes far when buying a pre-owned car. By sitting down and conversing with reliable people close to you, you can gather a completely new understanding on your used vehicle search — and even come across a view or way of thinking that modifies how you accomplish this endeavor. Embrace Your Descriptive Side — When filling in the pre-owned car locator application found below, the more insight you provide to us, the more probable it is we will get a hold of the ideal used automobile for you in a convenient and quick fashion. Feel Free to Consult with Bondy's Ford Lincoln's Group of Pre-Owned Auto Consultants — If anything shifts during this event, do not be afraid to let us know! We want to guarantee you get exactly what you desire, so give us a heads-up if you need to make any updates or adjustments to the search for your next pre-owned car, truck, or SUV. With these tips leading the way, Bondy's Ford Lincoln is positive the used vehicle that fits into your everyday drive (be it a Ford Certified Pre-Owned or an offering by another automaker) will be part of your life in a jiffy. At this moment, there is probably only one question left to be answer: "What do I need to do to begin browsing for the right used automobile for me?" Fortunately, making strides on this front is as effortless as completing a fast form or grabbing your cell and engaging in a call to Bondy's Ford Lincoln. All you have to do is simply fill out the application below when you are not busy (remember to be as illustrative as possible! ), and we will take it from there. If you need a little added information, go ahead and and give Bondy's Ford Lincoln a call at 334-539-5649 or stop by when you are in the neighborhood; no scheduled visit is necessary because Bondy's Ford Lincoln is always ready to offer up its support to our friends in Dothan!